Corbon Ammunition is a proud family-owned and operated company located in Sturgis, South Dakota. 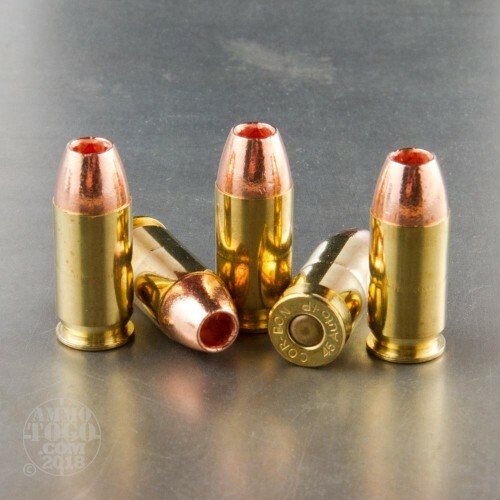 Corbon developed a reputation in the ammo industry for their high energy jacketed hollow point projectiles. 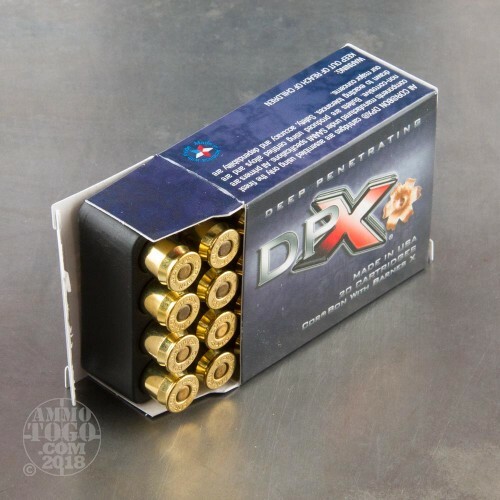 The company maintains their reputation for superior quality and performance in their new DPX line of ammunition. Delivering deep penetration and impressive terminal expansion, Corbon DPX is ideal for law enforcement and civilian personal protection. Each of these 20 rounds of Corbon DPX .45 ACP ammo is loaded with a 185 Barnes X hollow point projectile. These unique projectiles are made of solid, heat-treated copper, which eliminates problematic core/jacket separation for 100 percent weight retention. Barnes X bullets are designed with a deep forward cavity which allows the nose to peel back upon target impact to form four surgically sharp copper petals. When views head-on, these petals form an “x” shape, giving the Barnes X it name. The expanded Barnes X petals carve a massive wound channel through soft tissue, even after passing through thick clothing and tough steel barriers. 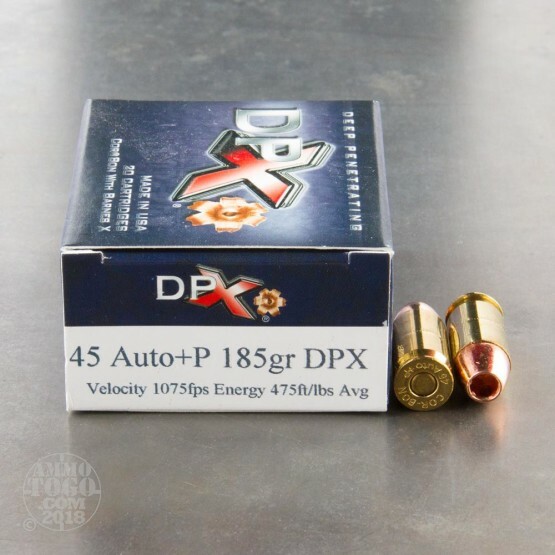 This new production +P ammunition is loaded to a higher internal pressure, producing a muzzle velocity of 1075 feet per second with a muzzle energy of 475 foot pounds. These loads feature non-corrosive boxer primers and reloadable aluminum casings. Had a chance to get some of these rounds and do some ballistic testing on them. They expand uniformly and reliably, even through denim. It's a hot round so make sure your pistol can handle it, not to mention it is expensive. Still a very good option for S.D.